Before Facebook, Instagram, Snapchat and other popular modes of communication of today, there was email. It has not only managed to survive for almost half a century, but has also thrived and evolved during the course of this time. We loved it when it replaced physical mails and allowed us to send messages instantly to all corners of the world. And we hated it when it became an accessory for spammers and fraudsters. Whatever the case, you can’t deny the fact that it has changed our lives. For people it has become one of the most reliable forms of communication whereas for businesses it has arguably evolved into the most cost effective form of marketing. However, in the past decade or so, social media has changed the game altogether. It has changed the way we communicate and exchange ideas with each other. Besides interpersonal communication and information exchange, it has also given businesses a new avenue to capture the attention of their prospective customers. As social media slowly became a part and parcel of our daily lives, many started writing obituaries for email marketing. They said email is too impersonal and intrusive. Email marketing would never work with impatient and tech savvy millennials was another prediction that was tossed around in conferences and summits. But, email marketing survived it all. And contrary to all those speculations, studies have proven that it works for millennials as well! Brands that have a substantial percentage of customers in the millennial age bracket, can generate a lot of value for their business using email marketing. 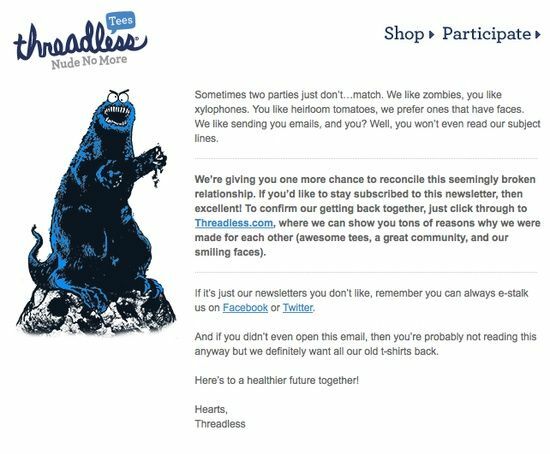 In this post, we’re going to list down tips that can help brands engage millennials through emails. ALWAYS use mobile optimized email templates. According to a Litmus report that analyzed over 1.4 billion emails sent in 2016, 56% were opened on mobile devices! That’s a big number isn’t it? Imagine sending an email which breaks apart on mobile and it ends up reaching more than half your customers! This number shoots up dramatically when you take only millennials into consideration. According to a report by Adobe, 88% of the millennials surveyed stated that they use smartphones to check their emails. That’s why it is absolutely important that you use mobile responsive emails to reach out to millennials. Millennials are a generation of people who are always in a hurry. The attention span of this social media generation is very small and to capture their attention, you have to write captivating and to the point subject lines. Sample this: 39% of millennials say that they’ve considered purchasing a brand’s products or services as a result of just receiving an email from the brand without even opening it! Bottom line: Don’t use vague, misleading and overly clever subject lines just to get them to open the email. Make the subject lines and the preview text creative but actionable. Millennials are quite used to emojis, hashtags and informal salutations. So, don’t be very business-like when you draft content for the emails and try to make it Informal. However, be very careful and ensure that you get the content proofread by someone well versed with such communication. Otherwise you might end up embarrassing yourself and the brand. Keep the content short and crisp. The Twitter and SMS generation does not have time to read essay like emails. If the email requires scrolling, you might want to edit and shorten it. If a millennial has opted just for your blog newsletter, he/she expects you to only send them newsletters. If you send them something else – like a product update or a promotional offer, they will most likely unsubscribe and never want to deal with you again. Loyalty lost like this is hard to regain. Also; don’t forget that millennials snack on social media. If you don’t value their data and privacy concerns, they’ll be quick to spread the word both online and offline. So, only give them what they want. However, do remember that millennials are ready to share information only when they get something valuable in return. If you want to send product promotion emails to newsletter subscribers, give them discounts and ask them to sign up to that list. This goes without saying. Sending generic broadcast emails is a strict no-no when you’re reaching out to millennials. Collect as much data as possible from all the channels, create segments based on this data and their online behavior to send customized emails that are much more than just “Hello [first name]”. What website pages have they viewed, what products have they purchased and what time do they usually open their emails – all of these data signals should be taken into consideration while setting up these personalized emails. Remember that millennials expect you to speak to them personally and give them information that can be used. Images, videos and other interactive content forms like polls to create an immersive experience for them. They will feel more connected with the brand and engage more with the messages. There are 80 million people in the US who fall under the millennial age bracket. 28% of India’s 1.3 Billion strong population comprises of millennials! In almost all the major economies in the world, millennials also form a big chunk of the working population. Estimates suggest that this working millennial population would roughly possess $1.4 trillion in disposable income by 2020! That’s a lot of money up for the grabs for all kinds of businesses. But only those who understand the millennial mindset can break the clutter and claim their piece of the pie.